Tripping Lily’s ukulele cover of Mindy Smith’s Santa Will Find You has been the video to kick off every Christmas UkeTube since 2009. The song has the perfect mix of melancholy and jazziness for a Christmas song. And Tripping Lily played it so well. So it’s well past time I wrote it up. Two main strums will get you through this. Both of them just down strums. 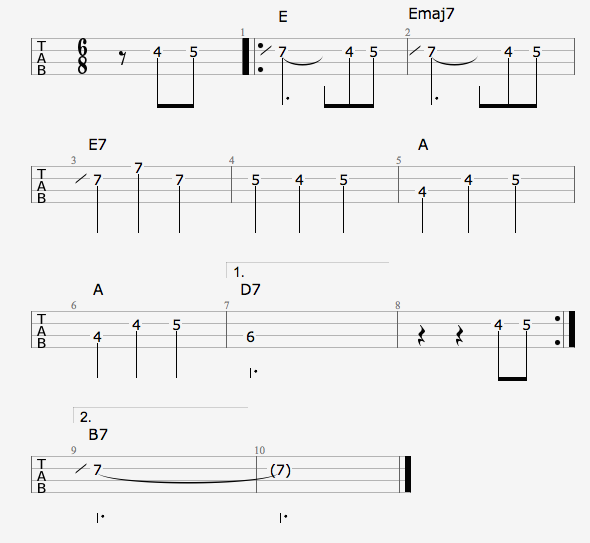 For the more sparse parts you can just do two down strums per bar. In the verse and intro: Once each on E and Emaj7. Twice on everything else. In the chorus: The first two lines the same as the verse. The last two strum the pattern once for each chord.